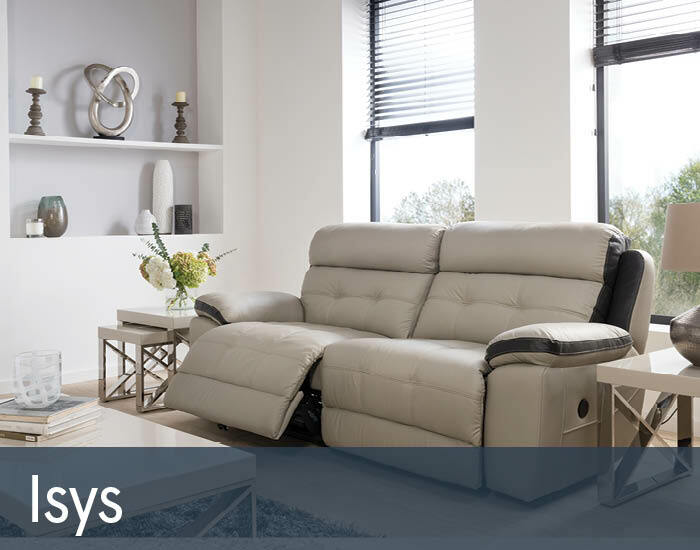 Isys offers a stunning range of leather reclining sofas, showcasing great style and comfort. With its plump appealing looks and simple, attractive clean lines, each sofa is guaranteed to give the room a warm and welcoming feel. Upholstered in quality leathers for a more contemporary appeal and clean finish, Isys is available in an extensive range of colours to suit all personalities and decor in the home. Each sofa is available with manual or power recliners to provide optimal support and relaxation, aided by the full chaise leg support. Generous high backs help to provide the best in support, aided with the integral head support cushions for comfort and support from head to toe. Combined with the pocket sprung seats and sumptuously soft fibre filled backs, each sofa helps to provide the ultimate relaxation. Isys is also available in a single colour.